An easy bake to use up ingredients I had been baking with over the past week or so, I admit I was a few days late with making my Easter biscuits. I make these biscuits most years, and know basically what I’m doing – although there are a number of variants to the recipe, and I don’t follow exactly the same one every year. This year I chose to use caster sugar instead of soft light brown sugar (although I think, on the whole, I probably prefer brown sugar in these), and I used orange juice instead of lemon juice. I almost always use lemon juice, but I had an orange to use up in the fridge and no lemon. So that decision was made for me. The recipe is simple – cream together sugar and eggs, add the dry ingredients and juice, then add enough milk to make a dough. This year, perhaps the most enjoyable part of the baking was letting my 20 month old son get involved in cutting out the shapes. I let him choose the biscuit cutters, then push them down into the dough. Admittedly, he picked completely inappropriate cutter shapes for Easter biscuits, and needed some help with the actual cutting, but overall we both really enjoyed the process. 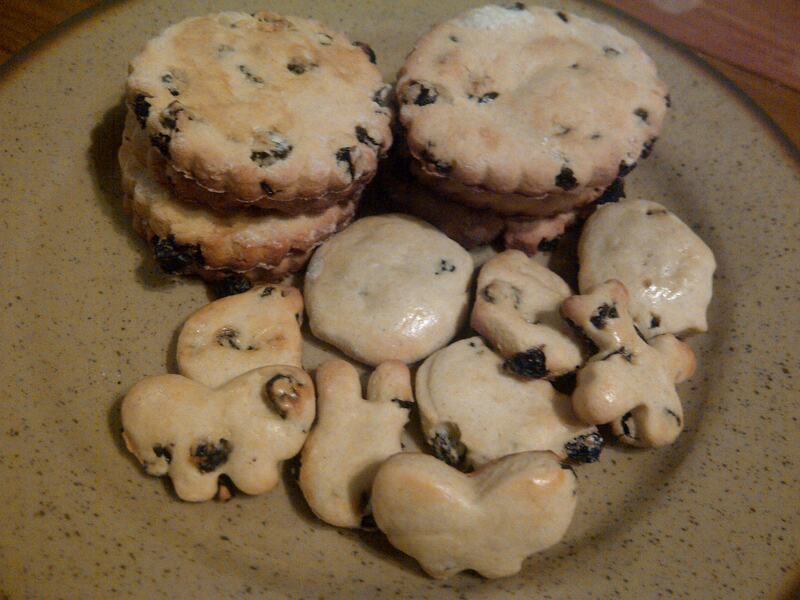 And I made sure I made some traditionally shaped ones too!